Qlik, a vendor of data visualization tools, has agreed to be acquired by private equity investment firm Thoma Bravo for US$3 billion. 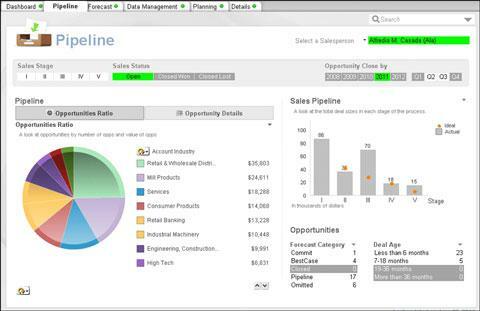 The sale will give Qlik "additional flexibility" to operate, Lars Björk, the company's CEO, said in a statement. Qlik is touted as a software package for business intelligence needs, with some customers saying it has strong data modeling features. Qlik offers what it calls "self-service" data visualization and discovery, with customer able to build custom charts based on their data needs. Qlik's board of directors has unanimously approved the sale, for $30.50 per share, the company said Thursday. Qlik's stock was trading at $30.18 early Thursday. The sale price reflects a 40 percent increase from Qlik's stock price before March 3. Earlier this week, Qlik's stock dropped after reports of a possible takeover by Thoma Bravo. Earlier this year, facing pressure from activist hedge fund Elliott Management, Qlik began working with investment bank Morgan Stanley to explore a sale. In addition to guided analytics tools, Qlik offers an external data feed service. The company also offers a consulting service and training packages. Qlik "blends best-in-class associative analytics and visualizations with data governance, scalability and interoperability," Seth Boro, a managing partner at Thoma Bravo, said in a statement. Thoma Bravo, with offices in Chicago and San Francisco, has investments in several tech companies, including IBM mainframe optimization company Compuware, digital certificate company DigiCert, and enterprise content management software vendor Hyland Software. The sale is expected to close in the third quarter. Qlik will keep its corporate headquarters in Radnor, Pennsylvania, and its existing executive team is expected to stay there.